This week I have a finish! Talkin Turkey is finally completed. This was also my UFO from April. 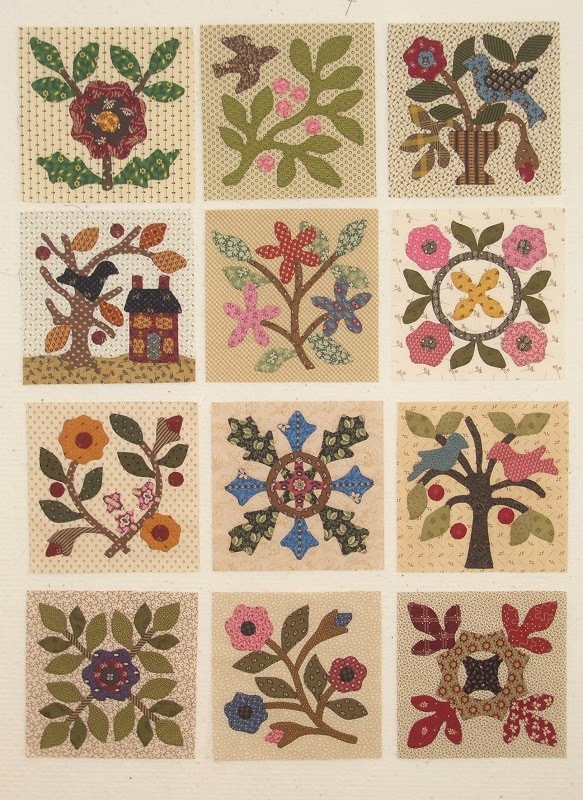 I was also able to complete the last of my applique blocks from Temecula Quilt Company Block of the month. Not sure yet how I will set them, thinking something simple. Any ideas are welcome! 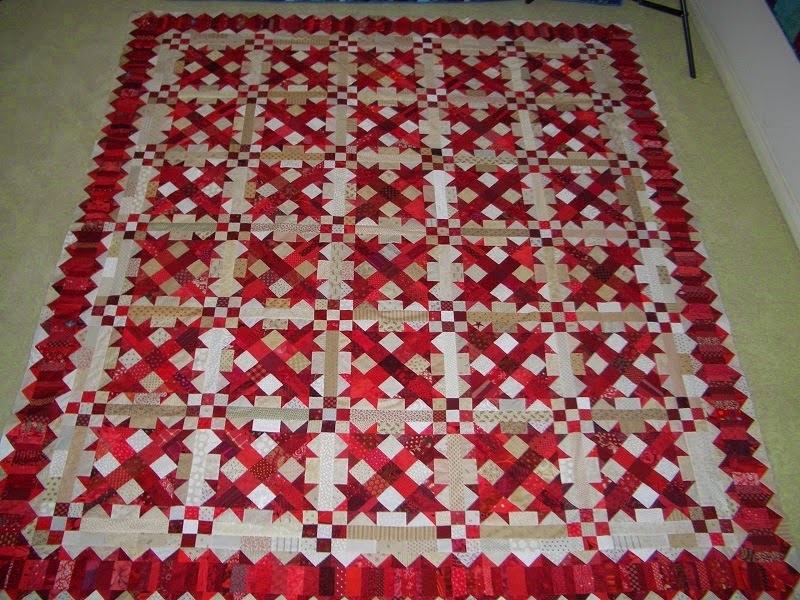 My only purchase this week was from Sunshine Quilt Guild's Auction. 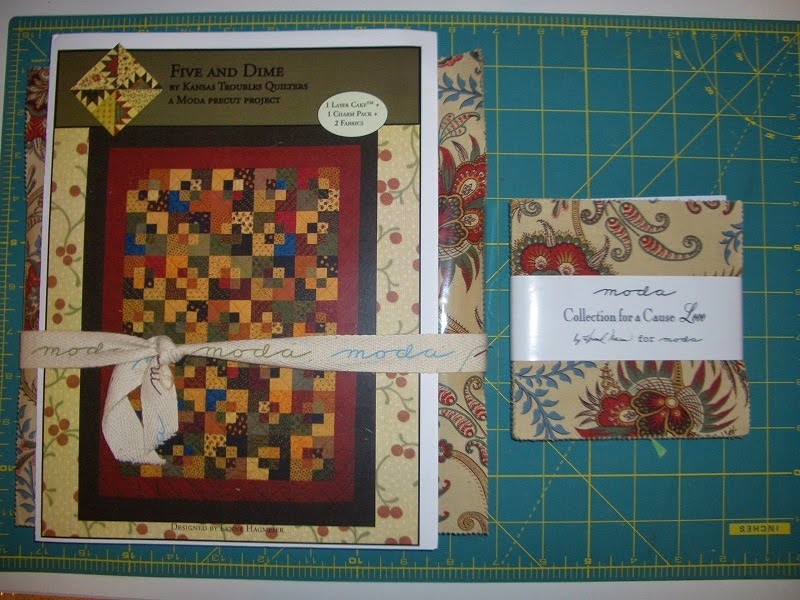 I bid on this charm pack, layer cake, ruler and pattern called Five and Dime. Lucky me- I won! The pattern is super simple and will be coming with me to our retreat this week in Lakeside. So the numbers for this week are not so bad! Used this week: 16 yards. Purchased this week: 5.0 yards. Purchased Year to date: 65.0.0 yards. Net Fabric Used in 2014: 12 yards. Hope this week finds you using up your stash! See all the other reports at Patchwork Times. Your Talkin' Turkey is stunning! Great finish.